﻿ Englands June Big Election, its All on For the Vote. How People are Voting? Englands June Election, its All on For the Big Vote. here are How People are Voting. 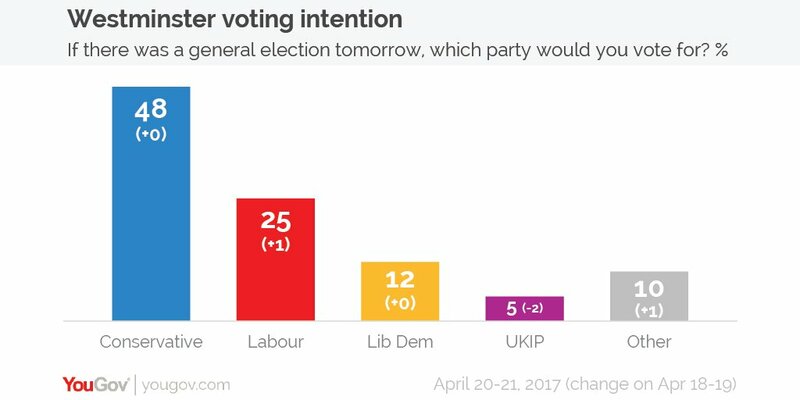 With the Theresa May calling a general election for 8th June, here's YouGov's most recent voting intention. With just eight weeks to go now before the nation goes to the polls, what are you views, leave comments below.